Death of Bishop Paul Michael Boyle C.P. 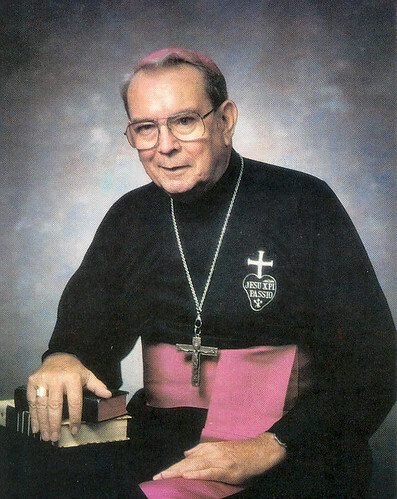 Bishop Paul Michael Boyle, C.P., former Superior General of the Passionists, died in Louisville, Kentucky on 10th January 2008. Paul Michael Boyle, C.P., was born in Michigan USA on 28th March 1926. He was professed a Passionist on 9th July 1946. He was a lector, provincial and for six years President of the Union of Major Superiors in USA. He was elected Superior General of the Passionists at the General Chapter of 14 September – 16 October 1976 and re-elected in the Chapter of 20 September – 1 November 1982. From 16-29 October 1977 he presided at the meeting of the Major Superiors in Lima to assist him in becoming aware of the situation of the Congregation in that hemisphere. He presided at the Third General Synod of the Passionists (15-22 September 1987 in Rome), the fourth (14-20 September 1980 in Corella, Spain), the fifth (1984 in Tanzania) and the sixth (7-21 September 1986 in Rome). In 1981 the Passionists entered the Diocese of Cochin, India, under his guidance. At the 1982 Passionist General Chapter the revision of the text of the Passionist Constitutions and of the General Regulations were completed. Various study meetings on the spirituality and history of the Passionist Congregation were begun in 1978. During his term as Superior General the Congregation was encouraged by the beatification of Brother Isidore of St. Joseph (1984), Confrater Pio Campidelli (1985) and Father Bernard Mary Silvestrelli (1988) and Father Charles of Mount Argus (1988). On 15th April 1991 he was appointed Vicar Apostolic of Mandeville West Indies and Titular Bishop of Canapium. On 21st November 1997 he was appointed Bishop of Mandeville. He retired as Bishop on 6th July 2004 and since that time has been living in the Passionist Community at Louisville, Kentucky. Goodbye Paul and thank you! This entry was posted on 11 January, 2008 at 6:44 am and is filed under CP. You can follow any responses to this entry through the RSS 2.0 feed. You can leave a response, or trackback from your own site.